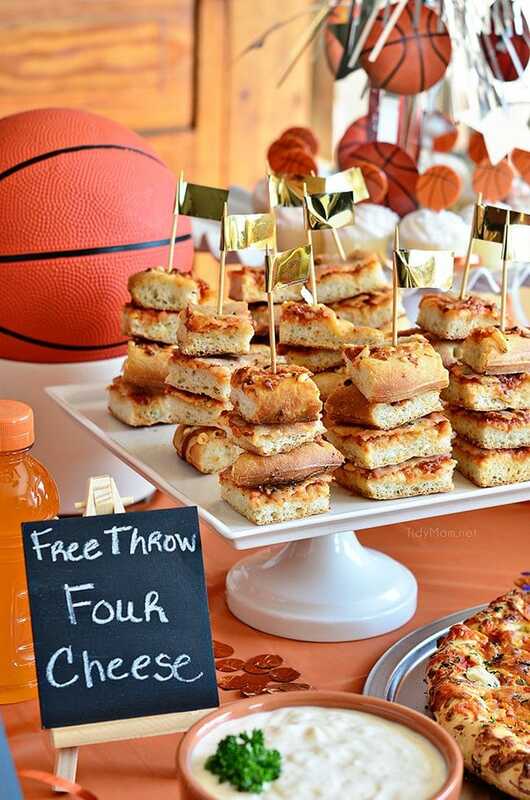 Host a Basketball Pizza Party! 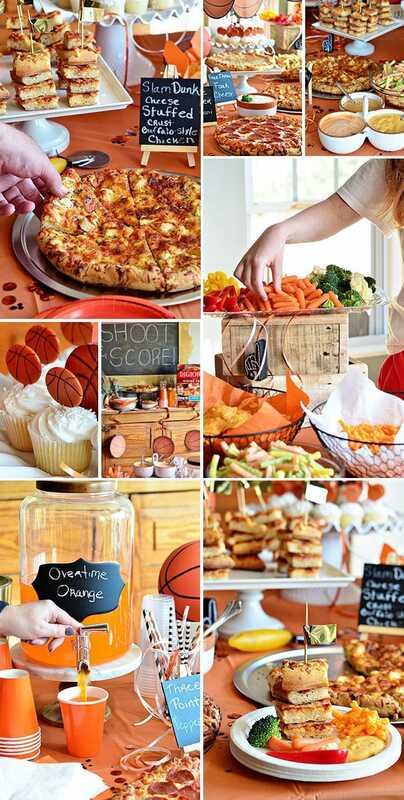 Hosting a basketball watch party at home without snacks……is like rooting for a team that’s not playing. 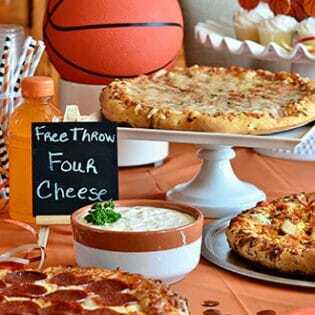 I had fun putting together a little BASKETBALL PIZZA PARTY for the nail biting games. I like to keep parties simple. ROASTED GARLIC AIOLI alongside a variety of fresh-baked pizza and veggies has winner written all over it! I’m excited to be partnering with DIGIORNO pizza this year! 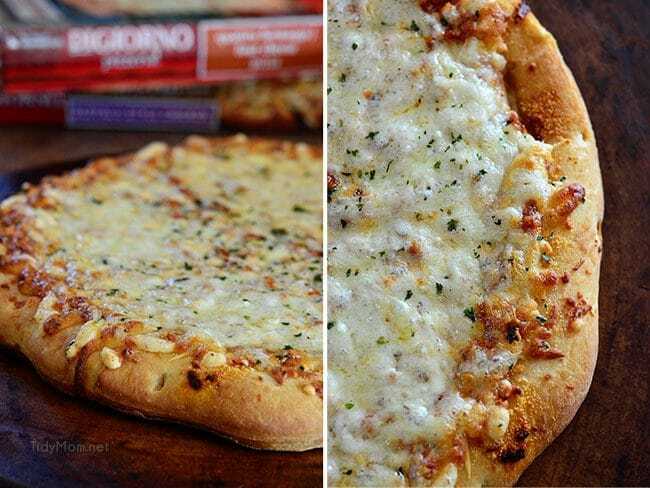 DIGIORNO pizza has been a family favorite oven-ready pizza for as long as I can remember. I usually pick up a few each time I go grocery shopping, they make getting dinner or lunch on the table quick, easy and delicious and they are perfect for parties. Throwing a full court press party with a few friends doesn’t have to be stressful. CLEANING: When throwing a last minute party, you don’t have time to clean your whole house. Grab a basket (a laundry basket works well) and go through the rooms your guests will be in and pick up any items that don’t belong. If you don’t have time to put the items away, just put the basket in a closet and deal with it after the party. 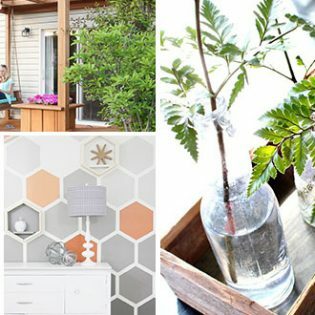 Give the rooms you’ll be using a quick cleaning, with a little extra attention to the bathroom. FOOD: Buy it, don’t make it. I picked up 3 different DIGIORNO pizzas. 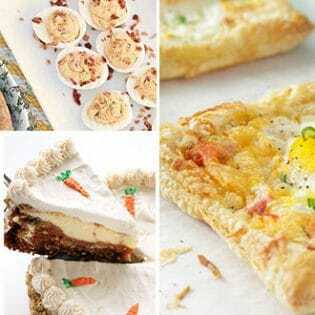 I like DIGIORNO Original Rising Crust pizza because it’s consistently good, but they also have a large variety of other hot fresh-baked crusts, mouthwatering toppings and no waiting on delivery! If disappearing slices were any indication, I’d say everyone enjoyed the pizza. Make pizza kabobs. Cut small squares of pizza, stack and securing together with a skewer then add a washi tape flag on top to make a fun party presentation! To change up pizza a little, try serving it with dipping sauce. The only food I made for our basketball party was a Roasted Garlic Aioli (recipe below). The roasted garlic gives the aioli wonderfully mellow but intense flavor. Roasted Garlic Aioli is fabulous on sandwiches, but it’s also a great dip for pizza, veggies and french fries. Serve other dips for the pizza like, ranch dressing with a little buffalo sauce mixed in, white BBQ sauce and a creamy queso. With 3 different pizzas and 4 sauces the flavor combinations were as endless as the slam dunks!! A veggie tray, a variety of orange chips, orange soft drinks and store bought mini cupcakes round off the buffet table perfectly. 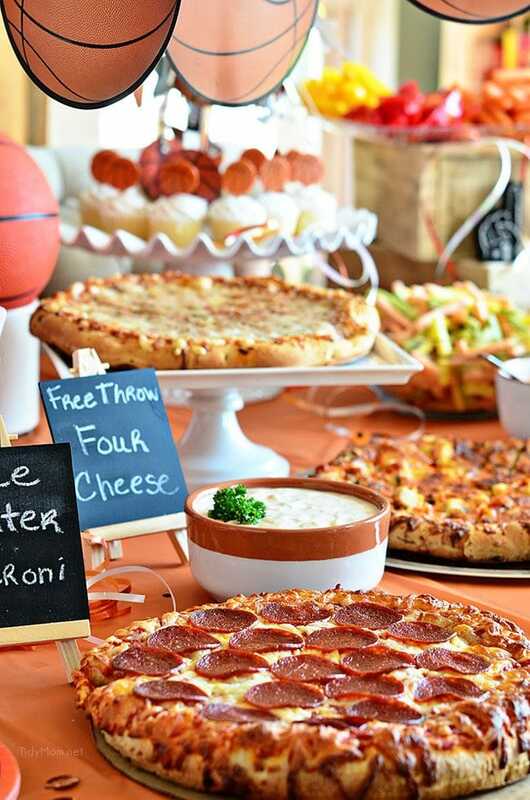 A simple basketball pizza party spread for the win!! DIGIORNO pizza certainly helped me rise to the occasion! Cut the tops off the garlic heads (to expose garlic cloves). Place on a large piece of aluminum foil. Drizzle with oil and season with salt and pepper. Wrap foil tightly over garlic heads and place in oven for 40 minutes. Place roasted garlic and remaining ingredients in a food processor and pulse until well blended. This looks delicious! Nicely done! This whole party set up is so EASY and so FUN! I love it – and I want to drown in that dipping sauce! 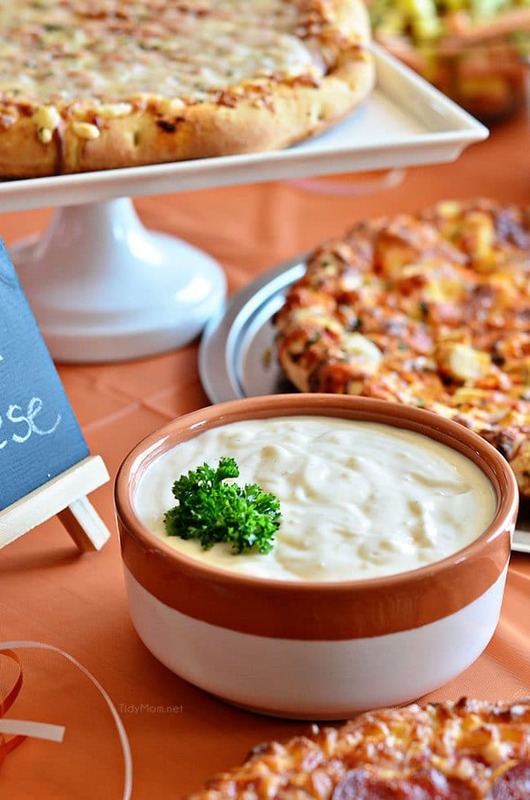 I LOVE dipping pizza in garlic sauce — homemade garlic aioli is an awesome idea! I want to attend a party that you are throwing! My spreads NEVER look as beautiful as this one! I LOVE garlic aioli but have never made my own. What a fun and easy way to celebrate the games this weekend! I LOVE LOVE LOVE the idea of stacking the pizza squares with a skewer! What a fantastic party idea! My son goes through Digiorno’s like water! That dipping sauce looks fantastic! Also, I’m totally in love with your party decor! I could eat pizza every week. I love this fun simple party idea with not a lot of cooking involved. I’ve never made garlic aioli before, but I bet it goes great with the pizza. I love it when I’ve had it in restaurants. I’ll have to give your recipe a try. I’m lpoking forward to receiving your newsletter! What a fun party idea! The pizzas make it so easy! I haven’t had a Digiorno pizza in far too long, but remember their natural rising crust being my favorite! Such a great idea and these pictures are all making my mouth water! So fun! Love the pizza skewers and I’m really loving this dip! This is my kind of party! I can’t wait to try the dip! Great party tips! That roasted garlic aioli would be a favorite at our house! I’ve been under the weather all weekend and just seeing all these pictures of pizza is making me starving! I love the idea of dipping my crust into that garlic packed aioli…yum!